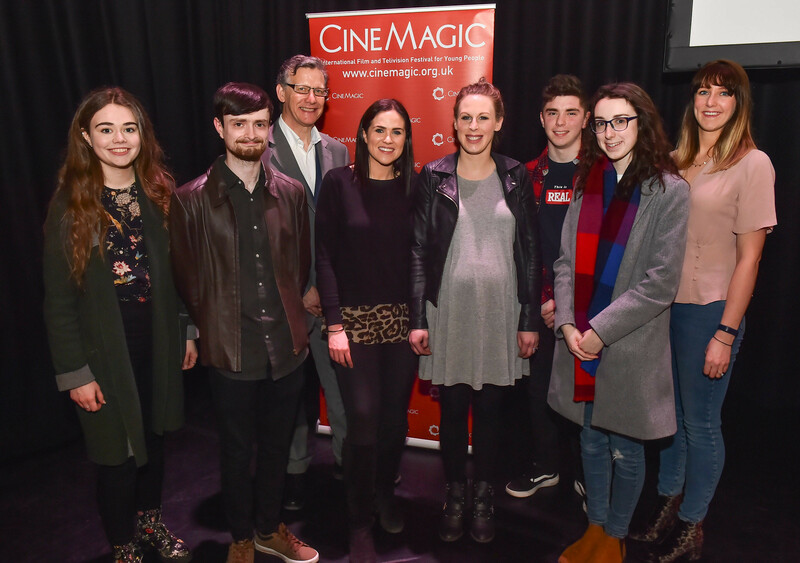 Representatives from the four BFI Film Academy Network Programmes 2018/19 in Northern Ireland at the Cinemagic ‘On The Pulse’ Showcase event in Crescent Arts Centre, Belfast, at which nine short films were screened and the achievements of 84 young people who participated in the initiative were celebrated. Pictured at the event are (L-R) young filmmaker Emma Noble (Cinemagic), tutor Conall Melarkey (Nerve Centre), Bernard McCloskey (Head of Education, Northern Ireland Screen), Shauna Shivers (International Executive, Cinemagic), Jo Barnett (Amma Centre), young filmmaker Matthew McCausland (Nerve Belfast), young filmmaker Amy Anderson (Amma Centre) and Jennifer McAlorum (Creative Media Trainer, Nerve Belfast). Cinemagic ‘On The Pulse’ short film season is supported by the Department for Communities through Northern Ireland Screen.